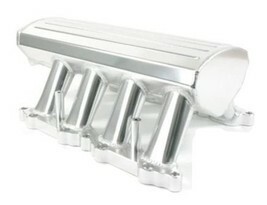 NEW A-TEAM PERFORMANCE EFI Fabricated Intake Manifold 11-14 Ford 5.0L Coyote CLEAR ANODIZED FINISH OVERVIEW We designed our Velocity fabricated aluminum sheet metal intake manifold to improve the look and performance of your Coyote engine. 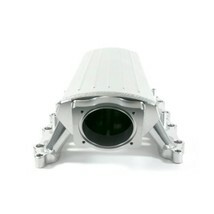 The runners are velocity stacked, allowing air to move more smoothly at high velocities. The manifold is constructed of 3.5mm thick T-6061 aluminum and is TIG welded to ensure consistent strength and performance. 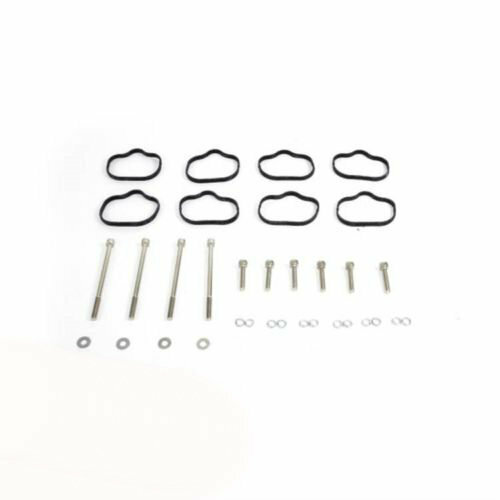 Individual port o-rings guarantee a good seal with the cylinder heads and throttle body. 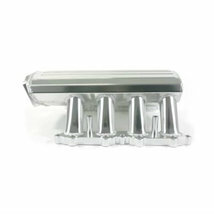 Available in clear or black anodized finishes, this manifold will also give your engine bay a nice, clean aesthetic. QUALITY CONSTRUCTION The first thing people notice when taking a closer at our Velocity intake manifold is the beautiful TIG (tungsten inert gas) welding throughout - all done by hand. 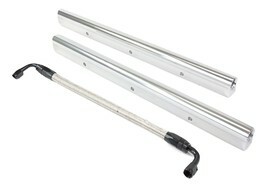 This ensures solid construction that won't fail under stress. 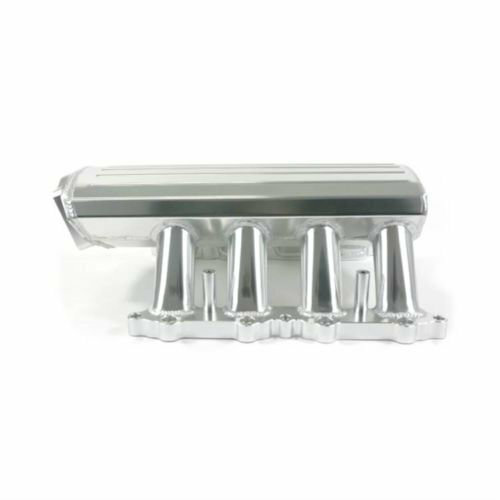 The head flanges are 7/16" thick, and the plenum is constructed of 3.5mm T-6061 aluminum, which means it can easily handle up to 25 lbs of boost - more than enough for most street performance applications. 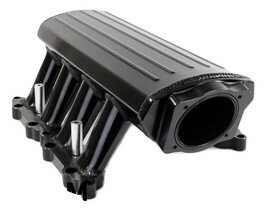 INTELLIGENT DESIGN In addition to the premium build quality, our fabricated manifold includes intelligent design features that set it apart from the rest. 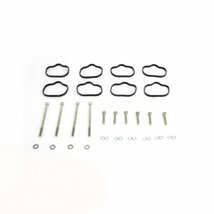 A 90mm throttle body opening and velocity-stacked intake runners guarantee maximum airflow for high-horsepower applications, and individual port o-rings ensure a tight seal to your cylinder heads. 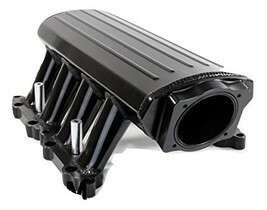 We designed the manifold to easily anywhere the Boss manifold would have been, which means fitment won't be an issue. SPECIFICATIONS INJECTION STYLEMulti-port FUEL RAIL TYPECustom TSP Design FUEL RAILS INCLUDEDNo THROTTLE BODY BORE SIZE90mm THROTTLE BODY BOLT PATTERNStandard OE 4-Bolt Coyote Pattern THROTTLE BODY INCLUDEDNo FLANGE MATERIALT-6061 Billet Aluminum PLENUM THICKNESS3.5mm PLENUM MATERIALT-6061 Sheet Aluminum VACUUM PORTSNPT 1/8 x 3 and NPT 1/4 x 1 OVERALL HEIGHT8"